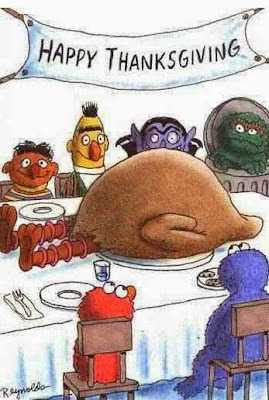 Thanksgiving, the annual celebration of self-imposed food comas and phoenix like returns for seconds. Its safe to assume that this year isn't going to be any different and that you ARE going to over eat. That being said, maybe you don't want to end up inflammed, dysbiotic, AND uncomfortably full. To that end, I've rounded up the best Paleo friendly Thanksgiving recipes around. Even if you gorge yourself, you can rest easy knowing that ALL of these recipes are gluten-free, industrial seed oil free, and prepared from scratch with real food ingredients. You could prepare any one of these recipes as a tasty and healthful addition to your Thanksgiving table, but the real magic is in their combined effect, an exponential flavor fractal that will launch your taste buds to infinity...and beyond!!! Enough with the hyperbole, to the recipes! "So this is my definitive guide on how to get a great smoked turkey, using either a gas of charcoal grill. 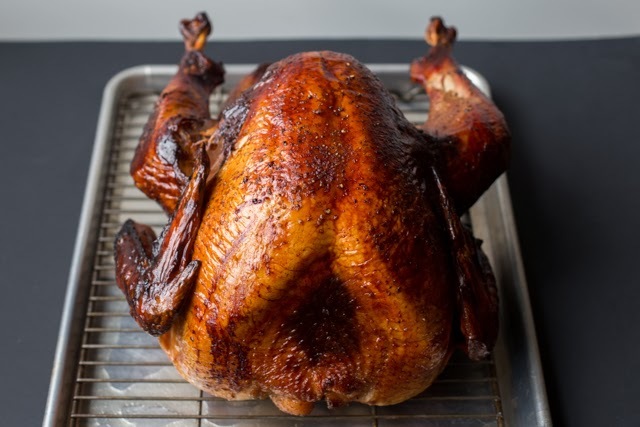 I love smoking turkeys because the flavor is awesome, but also because it frees up valuable oven space on what tends to be a hectic day." To read more, and get the recipe, go to TheDomesticMan.com! "This gravy is packed with carefully selected ingredients that boost umami: savory bone broth, tomato paste, dried and fresh mushrooms, and fish sauce. 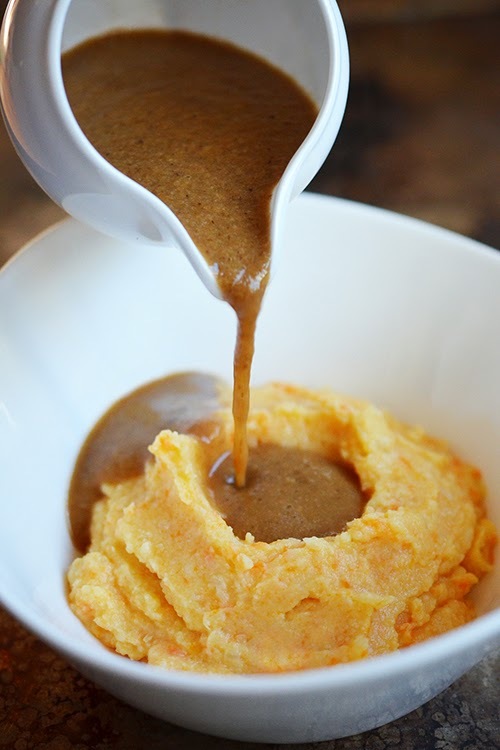 Once all these flavorful ingredients have simmered, simply purée everything together and voila! Thick gravy!" To read more, and get the recipe, go to NomNomPaleo.com! 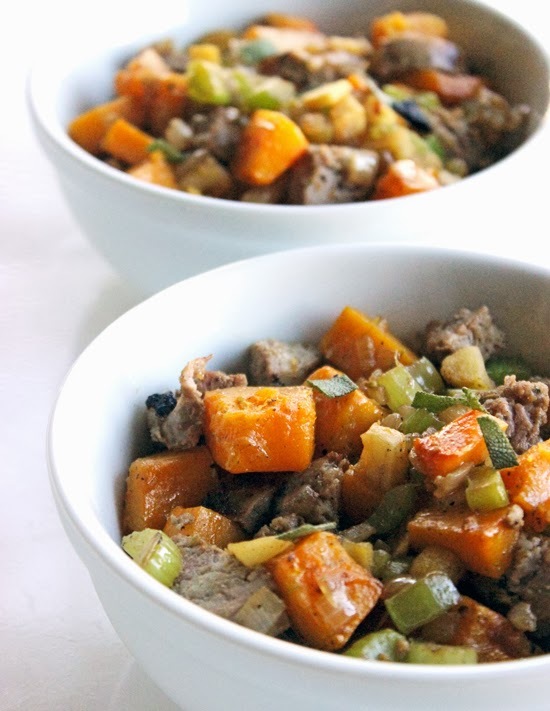 "Sweet butternut squash stands in for cubed bread, while high-quality sausage and an assortment of other traditional ingredients like apples, celery, and onion round out the recipe." To read more, and get the recipe, go to FitSugar.com! 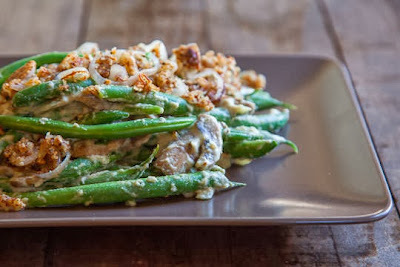 "This recipe reworks the canned green bean and mushroom soup version into an easy from scratch recipe that is friendly to most people with food restrictions, other than those with nut allergies. Even better though, is that the final dish tastes BETTER than any green bean casserole you have ever had. Truth. Bonus, the dish isn’t really a casserole, as it’s made on the stove, which frees up room in the oven for other dishes." To read more, and get the recipe, go to EatTheLove.com! 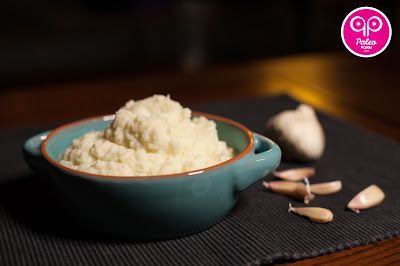 "I’ve been making cauliflower mash for quite some time now. A long time ago, before we went Paleo, I remember being given the option of cauliflower mash over regular mash potatoes at a restaurant. After giving them a try, I never went back." To read more, and get the recipe, go to PaleoPorn.net! 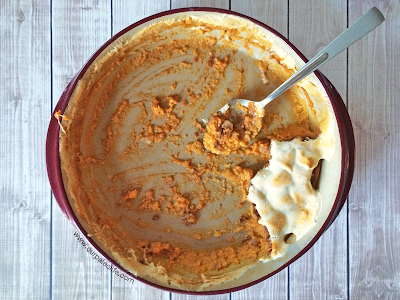 "This picture below is what the casserole looked like after about 20 minutes. Keep in mind, there are only 4.5 people in this house (toddlers count as half people, right?) and they treated it like it was dinner. I kept hearing “can I have more?” and was honestly afraid I wouldn’t get to try any. 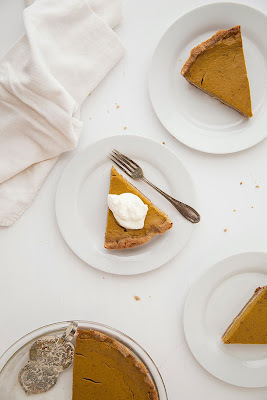 For real Thanksgiving, I always double the recipe (you’ll need to double the baking dishes, too, to ensure even cooking), and then we’re guaranteed enough for everyone plus a few leftovers." To read more, and get the recipe, go to OurPaleoLife.com! 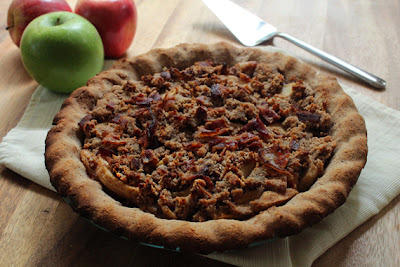 "Apple pie laced with a hint of bourbon and topped with a crispy bacon streusel topping." To read more, and get the recipe, go to FatBurningMan.com's Gluten Free Desserts! 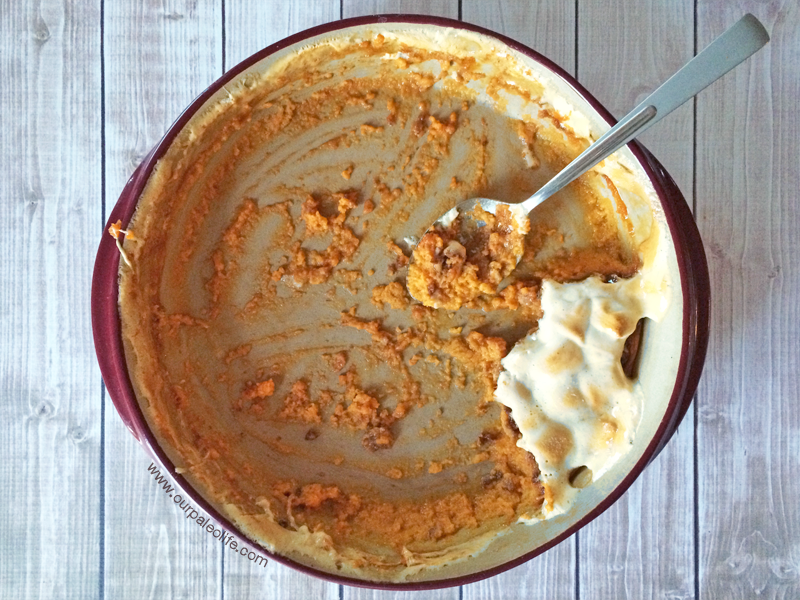 "Pumpkin pie to me was considered a sacred art form until I found out many of my family members just used the recipe on the back of the pumpkin puree cans. Moral of the story: if nobody knows that you almost burned the pie crust it’s still completely delicious and pumpkin pie is a valuable tool during the fall." To read more, and get the recipe, go to SlimPalate.com! "If you do have an ice-cream maker, this recipe will only take about 20 minutes from start to finish (quicker than running to the grocery store!) and the result is rich, creamy, and far better for you than even the best store bought varieties." To read more, and get the recipe, follow this link!